At 2:46 PM on March 11th , 2011, it happened. It’s been 6 years since the disaster of the magnitude-9.0 quake, tsunami and nuclear power plants hit in Tohoku area. As of March 10th 2017, the death toll is 15,893, and the number of people left missing is more than 2553. And still more than 120,000 people remain displaced. It’s been 6 years, but we still have a long long way to go. 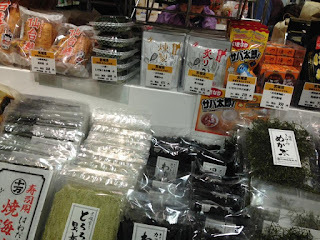 I was at a Tohoku fair held at a department store in Osaka at 2:46 PM today, and bought some food at the fair. This is one of them, called " Cream Box". It seems a very popular snack at Koriyama city in Fukushima. 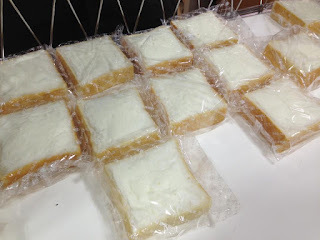 A guy of this store from Fukushima was saying, " This is just a slice of bread which cream is spread on, and you may not think "Wow, this is great! ', but this is taste of our beloved home!!" On the right time, all of customers and the staff members there observed a one-minute silence. 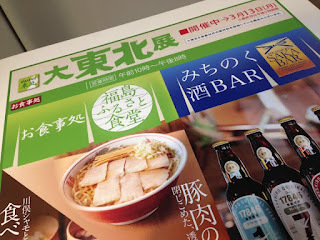 I will appreciate the Fukushima's tastes including this cream box at home.